How is Google Now on the Note 4 in terms of battery life, lag, notifications......? Never used it but thinking about it. What are the pros / cons? If it running flawlessly on the Note 4? It works great for me. I have been getting great battery life out of my Note 4, so using it isn't causing issues with battery life. I don't use it constantly, so I don't have the "voice recognition even when screen is off" turned on. I use Google now everyday, it's connected to my moto 360. Full blown features on as well. All cards are showing, voice to text, using Google maps etc. 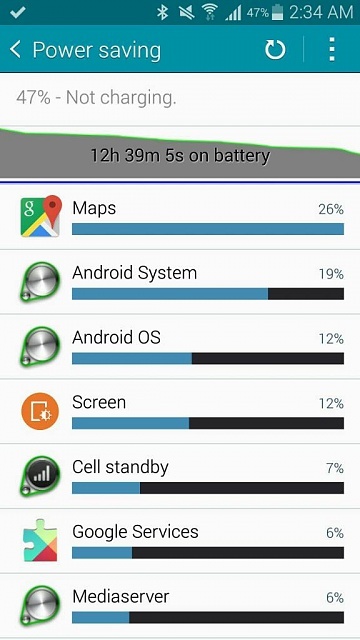 I'm actually blown away by the battery life on both the Note 4 and Moto 360! No issues here! Could the OnePlus Two come in two sizes (5" and 5.5")? Note Edge has a Metal Frame. End of story! Why is my Galaxy S4 staying on 3G instead of 4G? Why does the burst shots on my LG G3 not save once choosing the pictures you want?